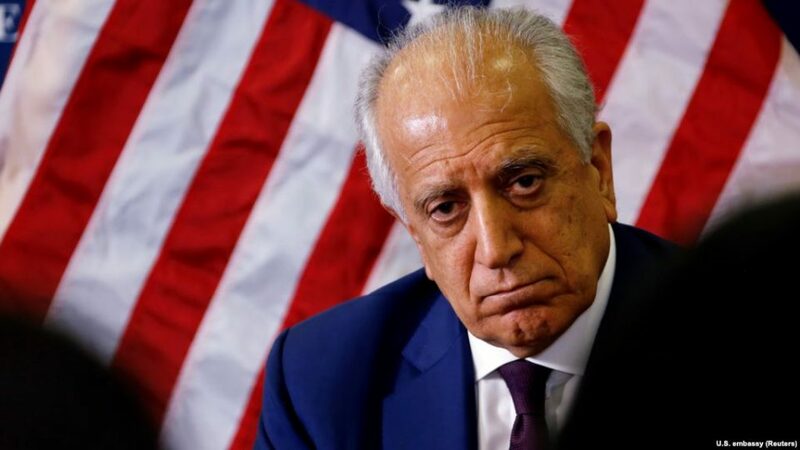 U.S. Special Envoy for Afghanistan reconciliation, Zalmay Khalilzad held meeting what he said ‘productive talks’ with the Afghan leaders, before leaving Kabul. The U.S. envoy also said that he had talked with former president Hamid Karzai, high-ranking officials of the High Peace Council, and other prominent Afghans and according to the statement from the U.S. embassy he was pleased to see the Afghans with whom he met, inside and outside government, coming together to put peace first, the statement added. The envoy expressed his optimism that ensuring an intra-Afghan dialogue in Doha next week, in which representatives of the Afghan government and wider society will participate, could best advance a shared goal of accelerating a settlement process. The people of Afghanistan support any peace efforts resulting in the end of violence in the country. Afghanistan has now a legal system and no talk could bring stability unless the government’s representatives have attended. And the government is now working on the creation of a high-profile delegation of qualified personalities from political parties, civil society, religious scholars, youth and women activists to discuss peace issues with the Taliban representatives in the Doha of the Arab country. Also if the Taliban are interested in restoring peace and stability and want an ending to long bloodshed and devastating war in the country, they should enter an intra-Afghan peace dialogue, under the current legal system. Any move to sideline the government (as a legal system) from peace talks, would never get success, neither the people of Afghanistan accept any process being held in hidden or apart from the government representatives presence. The U.S. beside its effort for peace talks with the government armed oppositions, particularly with the Taliban, in Afghanistan, should help an intra-Afghan peace dialogue to work for a comprehensive and lasting peace in the country.